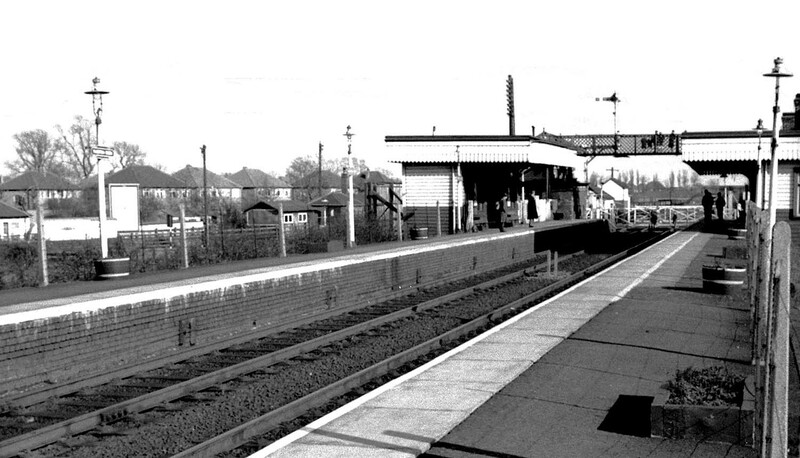 Looking towards Coventry from the Birmingham end of the down platform during the late 1950s with the gates open to road traffic. The lampposts are lit by gas whilst the up starter signal is cantilevered away from the platform to assist the locomotive's crew to see the signal. Fixed to the lampposts are British Railway 'Totem' station name signs which has a maroon background and straw lettering a lining. On both platforms the sectioned beer barrel plant containers have been supplemented with a square version made out of an old railway sleeper.